A few weeks back , I saw a Thai Salad recipe in the website "Onceuponachef". 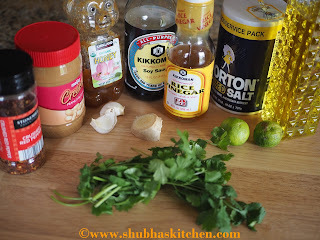 The images , the ingredients, the flavors going in the salad were sooo good that I had to try it out. And so I did try and it was a super hit in my family. Thank you Jen for such a great recipe. Once you have all the ingredients in place, preparing this salad is a breeze. I stuck to the original recipe for the most part. I changed a few ingredients to suit my taste. 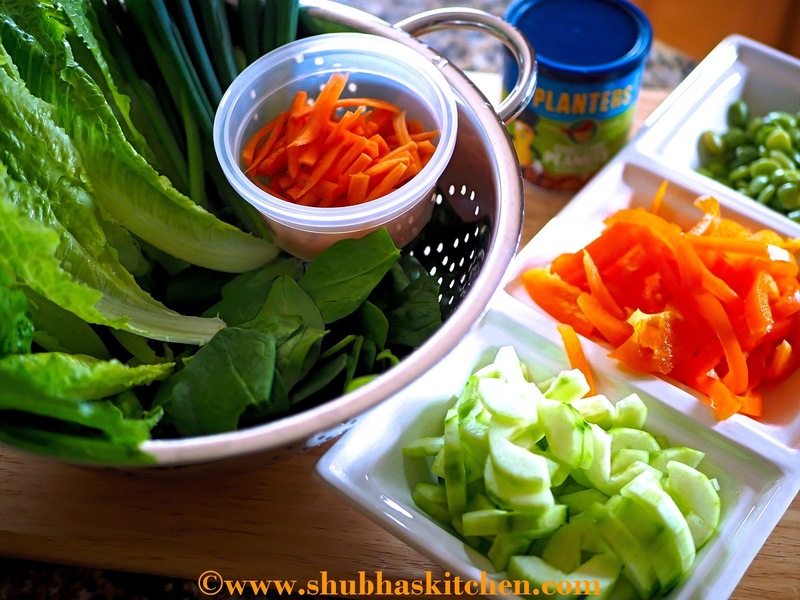 To prepare the salad: Assemble all the ingredients needed for the salad.Thrown in all the veggies in a big bowl. 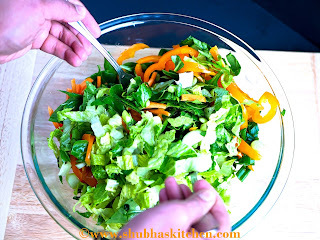 If you are serving the salad right away, drizzle the dressing on top of the vegetable and serve, else you can serve the dressing on the side so that the salad doesn't get soggy. 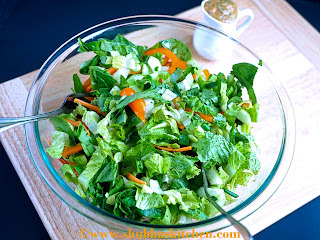 This post is a part of the Blog Hop event "Salads". Please check out more salad recipes from other talented members of the Culinary Hoppers Team.. 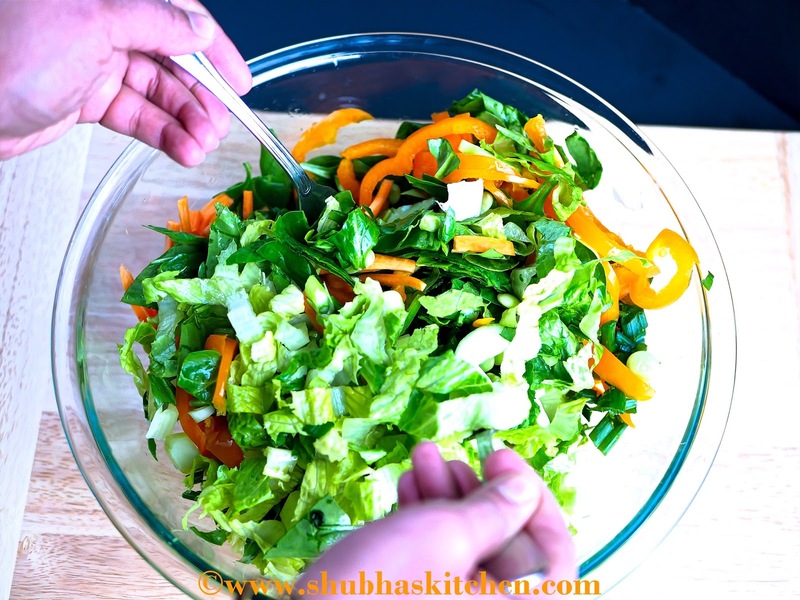 Such a colourful salad shubha. Such amazing flavors! Outstanding salad recipe. Love it. It has the crunch, the freshness, the lip smacking zing, oh I've got to try this!! Thanks for sharing. Superb!! Oh my Gosh! I love all the flavors going in this salad. 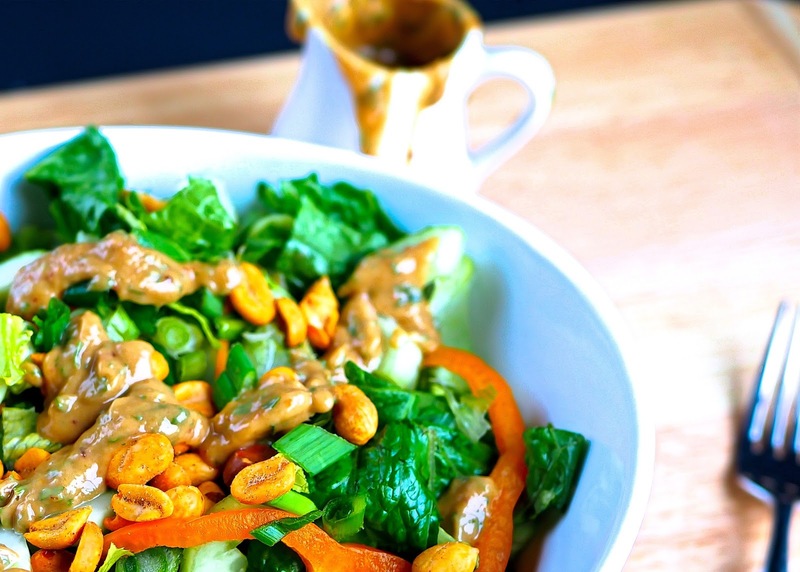 The peanut dressing looks so addictive. Oh wow! Such an amazing and wonderful dish.. Honestly, I can't wait to try this salad..I wish I could grab that inviting bowl. Thanks for this great recipe, just so delicious! 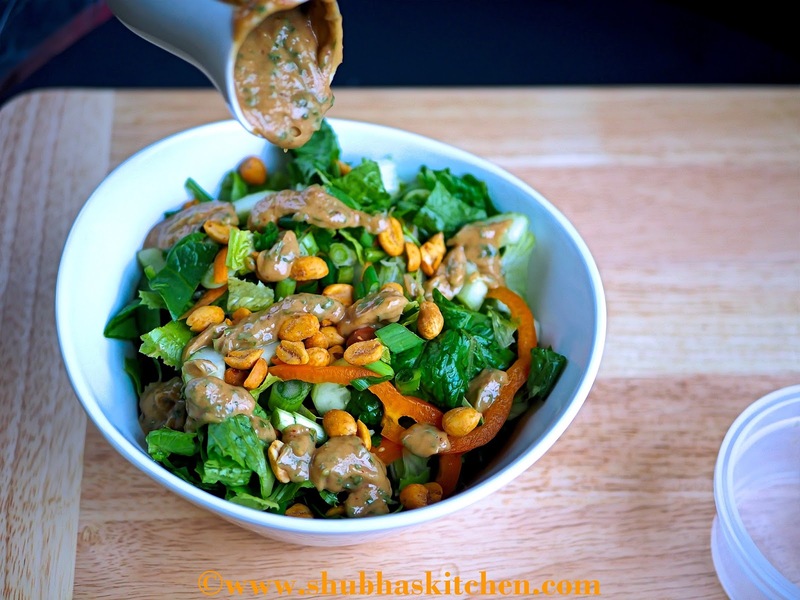 An absolute stunner of a salad which happens to be family favourite too. 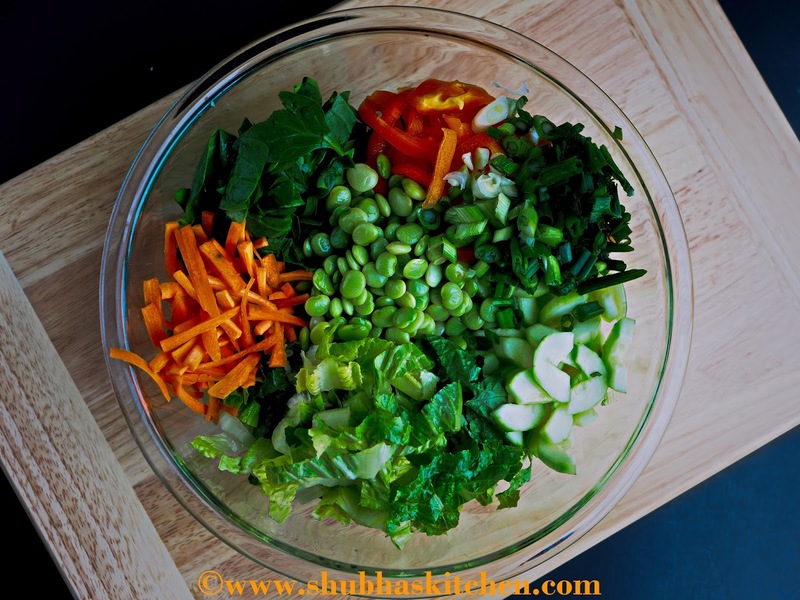 What I loved about your salad is not only the choice of the salad mix, especially the Lima beans, but the brilliant texture and creaminess oozing peanut dressing. 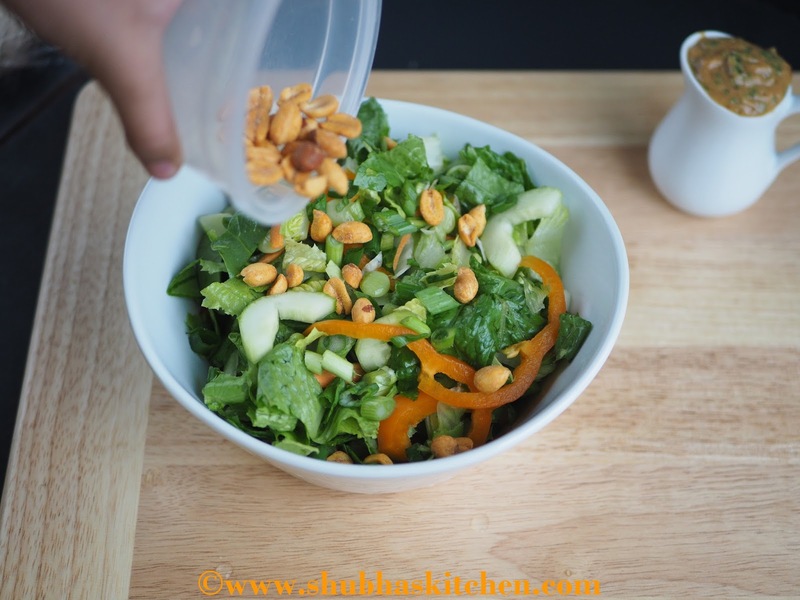 This is just what a supremely yummy salad should be, crunchy, refreshing, with a silky dressing and a powerhouse of flavours and goodness. 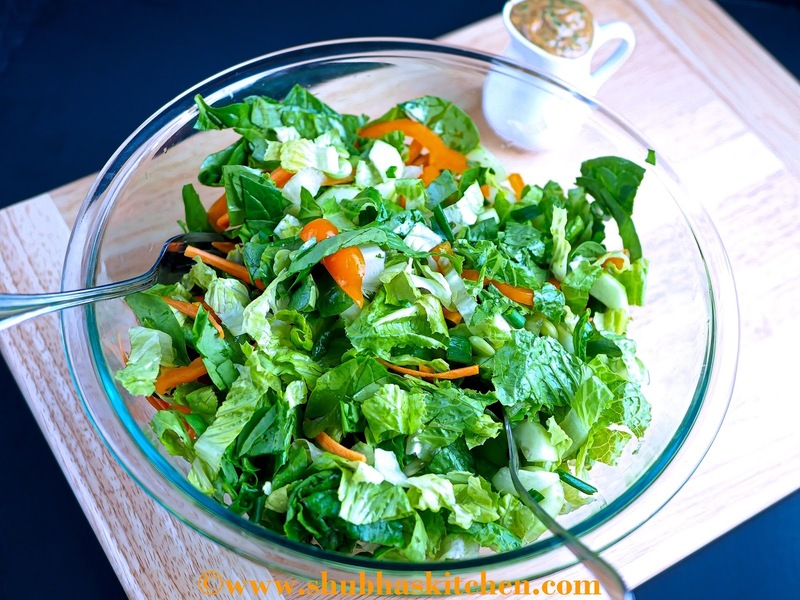 The clicks are brilliant and I am craving for this salad right now. 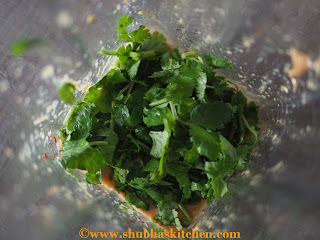 I love Thai salads and the flavours that go with it...got to try this..It has amazing flavours in one bowl!! Loved the peanut butter dressing!! Thanks for the awesome share dear!! Wow! Love this gorgeous and colorful Thai salad. 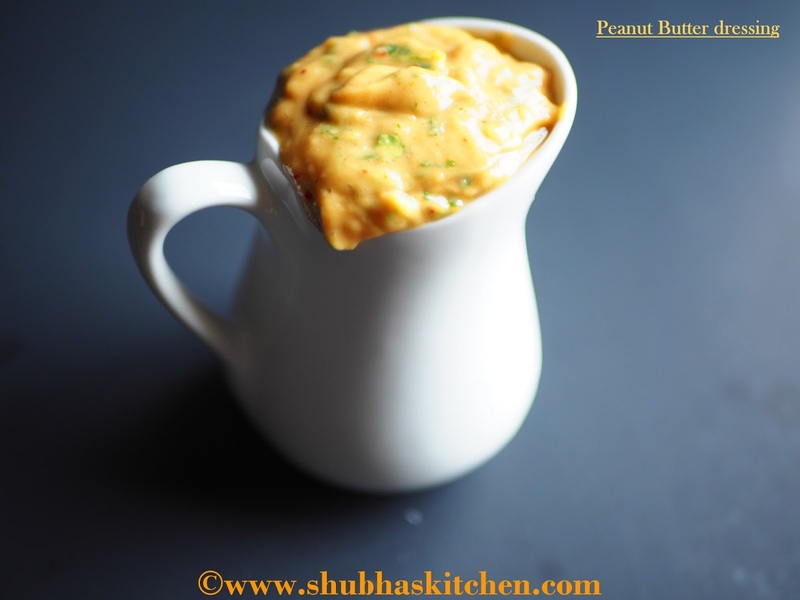 Peanut butter dressing sounds intriguing, Shubha! Lovely is the word coming out from my mouth and I have bookmarked it...the dressing is the hero of this salad...awesome! A delicious looking salad! I love the peanut butter dressing!!! 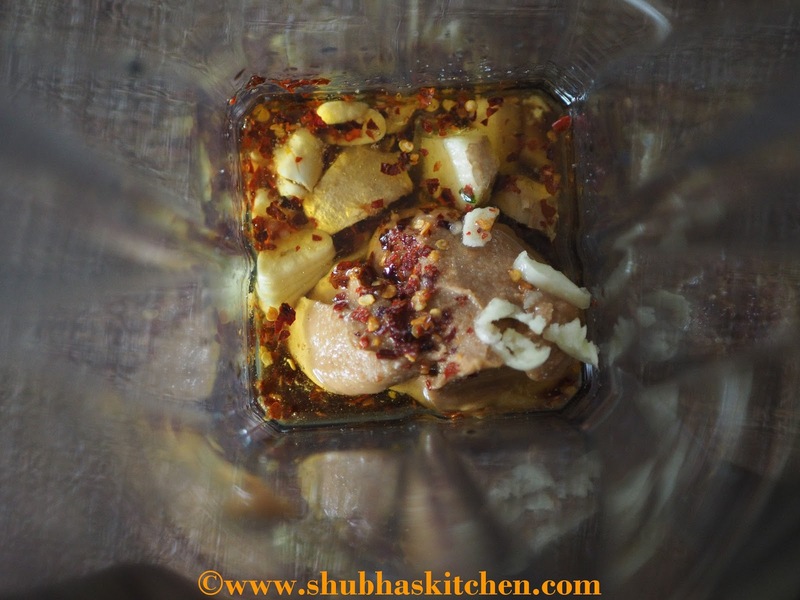 Will bookmark this recipe for sure.Really this is a good one. 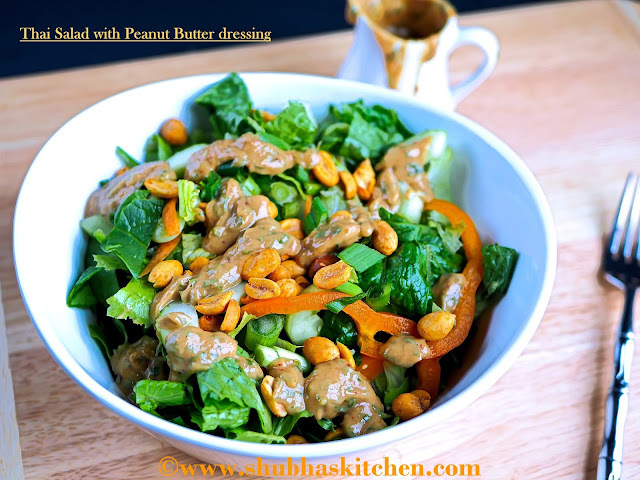 What a visually stunning, the peanut butter makes a lovely dressing, great idea, Shubha!